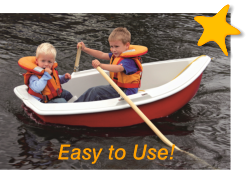 Our Starfish Dinghy was designed specifically with children in mind to provide a small stable rowing boat that will give them hours of endless fun, activity and play. 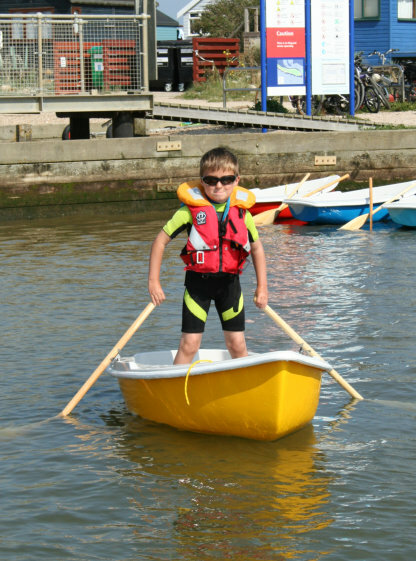 Children will easily pick up the art of rowing given the aids the dinghy provides and they will love the feeling of achievement and independence that Starfish will give them (albeit initially attached to the end of a safety line!). Whether it is Pirates or Little Mermaids, the imagination will run wild in a small and colourful boat conceived with safety as paramount. Starfish has the tangible benefits of being designed in accordance with the latest standards of safety legislation as employed by the European Union. 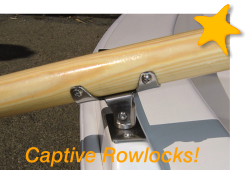 She has an undeniable advantage over any of her competitors with regard to optimum safety and stability on the water. Light and easily portable, Starfish dinghies can be transported on a roof rack or car boot and unloaded effortlessly at the other end. Starfish was developed as a rowing boat for children, so it is they who are our severest critics! 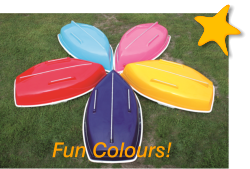 We have a range of vibrant hull colours from which to choose to inspire them to take to the water in the best small boat on the market.